REL THP 45, the latest in 'S' valve technology concrete pump achieved a single pour vertical pumping to a record height of 91 meters along with a total of 65 meters horizontal at Sobha City project at Thrissur, in Kerala. The project hit a roadblock when it came to the concreting needs for the 'Helipad' atop 'Sobha Topaz' which is at a vertical height of 91 meters and requires continuous concrete of 115 cubic meters. Sobha's site officials were confused to use their existing pump which in spite of having a 6 cylinder engine of 110 HP was giving choking problems even while doing the concrete in the 26th and 27th floors which was at a height of 82 to 85 meters. Any stoppage in between while concreting the 'Helipad' would mean 'Cold Joint' and wastage of the concrete done till then. REL marketing engineers contacted and offered their THP series concrete pump to overcome the hurdle faced by the client. REL THP 60 which is fitted with a 6 cylinder engine of 81 kW, had pumped a vertical height of 165 meters earlier in a Cement Plant project for another major Indian Contractor. However, REL engineers decided that the recently launched THP 45, fitted with a 4 cylinder 48 kw engine and capable of developing a hydraulic pressure of 280 bar, designed with the intention of creating a special position for high-rise pumping, is good enough for a vertical height of 100 meters coupled with a horizontal distance of 50 meters. The total concreting of 115 cubic meters for the 'Helipad' was completed successfully and REL thanked Sobha officials for placing trust on the REL THP 45 Concrete Pump. 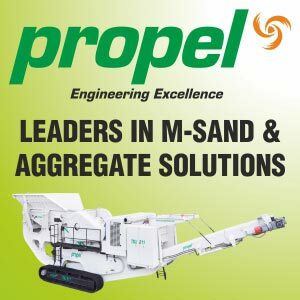 REL Construction equipment Division offers the 'Full Liner' in Concrete Equipment which includes Concrete Batching Plant 30 to 120 cbm/hr, Transit Mixer, Boom Placer and Stationary Concrete Pump. Recently, REL CED augmented its range by adding two new products in the foundation equipment segment namely Hydraulic Piling Rig with TESCAR Srl, Italy and Vibro-Hammers with Chowa Kogyo Co Ltd, Japan. Last year, REL inaugurated its new and modern manufacturing plant in Gummidipoondi near Chennai, enhancing its capacity and also expanded its network across the country to provide efficient after sales back-up. Today, REL CED has 7 offices at strategic locations with Sales, Service, and Spare parts operations. Apart from their own network, REL CED also has the Tier II after sales support through their network of 16 dealerships spread across the country.